We live in a time where everyone is held responsible for their contribution toward climate change. With constant reminders of our contribution to our carbon footprint, we hold the power to limit how much we contribute to waste in landfills. In a way, it’s a good thing that we are being held responsible for our recycling actions, but some carbon footprints are naturally larger than others. Recycling and “Going Green” are great first steps in reducing your carbon footprint, so here are some ideas to help you branch out and reduce your footprint one “step” at a time! Everyone has the potential to recycle at home. Whether you have bins to separate paper, plastic, and aluminum, or you’ve gotten into the habit of donating unwanted clothes and household items. Reducing your carbon footprint is easiest in your home because it is the one place you have complete control of the items you buy, use, and dispose of. Although all light bulbs serve the same purpose, some have different heat emission properties. Switching from incandescent light bulbs to energy efficient ones – like LED and CFL’s – can help you save money and reduce the impact on the environment. Regular incandescent light bulbs generate more heat, increasing the cost of cooling your home, while an LED light (Light –emitting diodes) help save energy. The cost of an energy efficient light bulb goes a long way, as one LED light bulb can replace the use of six incandescent bulbs. So before you go out and buy new light bulbs, remember to buy Energy Star light bulbs to reduce the waste amount and save on your next energy bill. Trying to avoid the use of plastic is nearly impossible in today’s society. But reusing different plastic items helps reduce your carbon footprint, guaranteeing that the plastic doesn’t end up in some distant landfill. 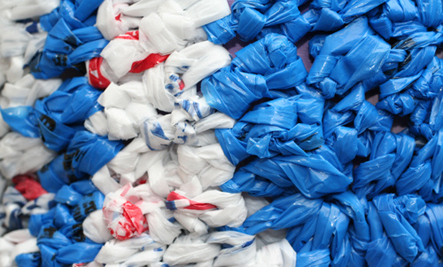 Here’s a list of everyday plastic items that you can recycle into a fun DIY project with the kids. The lifespan of a cell phone, tablet, or laptop is not very long. Especially when there’s always a new “upgraded” version every few months. So instead of just throwing out your used technology, recycling your devices can help reduce your carbon footprint. Your device may not work, but there are countless of other parts inside that may still be viable. Knowing where to store dispose your technology is the first step; the professionals at Cali Carting in Kearny, New Jersey offer a recycling method for all of your unwanted e-waste. Recycling at the office may be more difficult than at home. But there’s no harm in making efforts to encourage the rest of the office to follow in your footsteps. Your office should already have recycling bins for paper, but you can go out of your way to encourage your colleagues to recycle plastic and even aluminum. Creating a recycling contest in the office can help engage fellow coworkers, while introducing them to the smart habit of recycling! Need to print a large file? Change your printer settings to accommodate double-sided printing so you reduce the amount of paper you use. Reducing the size of images in your documents also helps you save color/B&W ink. Encouraging the office manager to purchase post-consumer recycled paper, also contributes to the office’s efforts to go green! Looking for an easy way to reduce your carbon footprint and save money? 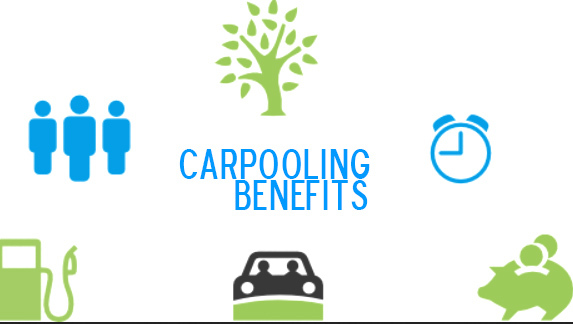 Carpooling with coworkers in your office lets you save money on fuel, helping your wallet and the environment. If more people around the office carpooled together, it would reduce the amount of cars on the road, which reduces the time of your commute. If you have access to a reliable and efficient public transportation system, consider driving halfway and taking a bus/train the rest of the way. Or you can go all out and take public transportation to work. Interested in learning more about your contribution to climate change? Here’s a Carbon Footprint Calculator that can help you determine ways to create a green lifestyle!